The surgical technique for creating an arteriovenous fistula (AVF) has existed since 1966. 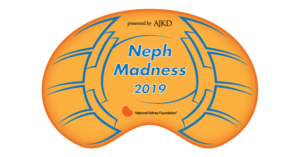 AVFs are the recommended vascular access for end stage kidney disease patients who require dialysis, but only 14% of patients in the United States initiate dialysis with an AVF, and the worldwide prevalence of AVF use remains low in many regions. Reasons for decreased AVF use include patient refusal, surgical risks, high rates of thrombosis (12-26%), the need for bridging catheters due to poor maturation, and the need for procedure-assisted maturation. These factors have triggered exploration into alternative techniques that can make AVF creation a less cumbersome process while optimizing outcomes and causing less health-care burden. It was hypothesized that creating an AVF through a percutaneous technique would reduce vessel wall trauma and lead to decreased stimulus for neointimal hyperplasia – the main driver for stenotic lesions and fistula maturation failure. The simplified procedure may also increase patient willingness and compliance, bypassing tiring and long perioperative protocols (hospital admission, sedation, fasting, post-op monitoring). Recently, another retrospective study showing results using the Ellipsys vascular access system in Europe. All three studies (FLEX, NEAT and the aforementioned study), analyzed success rates, physiologic maturity (measured with duplex ultrasonography), and complications associated with endo AVF creation as their primary end points. Success rate, defined as creation of a connection between artery and vein, was 97-98% in all three studies. Physiologic maturity defined by duplex measurement of blood flow and vessel caliber in AVF were 80% in the Ellipsys system and 88% in the NEAT study at 3 months. FLEX reported cumulative patency at 6 months which was 96.2%. It is important to realize that physiologic maturity/patency as measured by duplex ultrasound does not automatically imply functional usability. Even if blood flow and vessel diameter is the gold standard surrogate marker for fistula maturation, factors such as late thrombosis, deep veins, needle pain/fear, steal syndrome affect the actual frequency of access use. Consequently, NEAT demonstrated 64% endoAVFs functional usability at 3-4 months, comparable to data from the US Renal Data System and the Hemodialysis Fistula Maturation (HFM) study for surgical AVFs (64.9% and 66%, respectively). However 52% were functional without needing intervention compared to 44% in HFM study. There was lower rate of intervention in endoAVFs than in surgical AVFs. Achieving a similar level of functionality with fewer interventions and fewer days of catheter exposure was determined to be a significant clinical benefit. In terms of complications, the NEAT trial reported that 11% of endoAVFs clotted within 12 months compared to 14% – 26% of surgical AVFs. Pseudoaneurysms occurred less frequently and there was no reported early stenosis in endoAVFs. The percutaneously performed procedure decreases the likelihood of soft tissue damage, retained sutures or unnecessary exposure of other neurovascular structures, factors that can contribute to neo-intimal hyperplasia. The FLEX and NEAT trials used the ulnar arteries and veins due to their close proximity, while the European study using the Ellipsys system used the proximal radial artery with deep connecting vein (DCV), suggesting that percutaneous access on more proximal sites is also possible. This technique of percutaneous AVF creation is a good alternative in eligible patients who have failed radiocephalic fistulas, or who are not candidates for radiocephalic or anatomical snuffbox fistulas, before attempts at more proximal access are made. Because it is minimally invasive, overall procedure-related burden is less for patients, which has the potential to improve patient attitudes towards receiving an AVF. In all 3 studies, the deep venous system was used (ulnar vein in NEAT and FLEX, deep connecting vein [DCV] with Ellipsys system). This meant that embolization of the proximal deep vein had to be done to divert flow to the superficial system to allow for an accessible fistula. The long term effect of the reliance on the deep venous system is still unknown. Risks of DVT’s or edematous complications of the limb have so far not been reported but may become apparent once used more extensively. Moreover, the studies so far have been performed in single centers except for NEAT, and dialysis centers from the US were not included. Despite the promising data so far, the studies were not without flaws. For example the NEAT study was a single arm design with a majority of Caucasian patients (most ESKD patients in the US are African American), and none directly compared endoAVF with the creation of surgical AVFs. Nevertheless, we now know that anatomically and physiologically endoAVFs behave the same way as surgical AVF. Moving forward, randomized controlled trials will be needed for more definitive results. 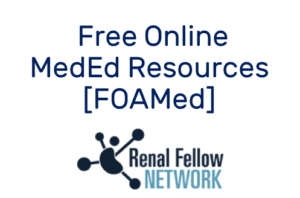 Acknowledgments: This post is part of a collaboration between the Renal Fellow Network and the American Society of Diagnostic and Interventional Nephrology (ASDIN), whose mission is to provide excellence in dialysis access care to improve outcomes for patients with kidney disease. Special thanks to Tushar Vachharajani, Aisha Shaikh, Edgar Lerma, and the Education Committee of ASDIN for their comments and suggestions for this post. For more information about the ASDIN mission or membership, click here.